I am submitting this article on behalf of a friend and neighbour, Jill Barnes née Adams. Jill doesn’t use a computer much but has given me some details of her family, including some photographs, together with her permission to publish them on the website. 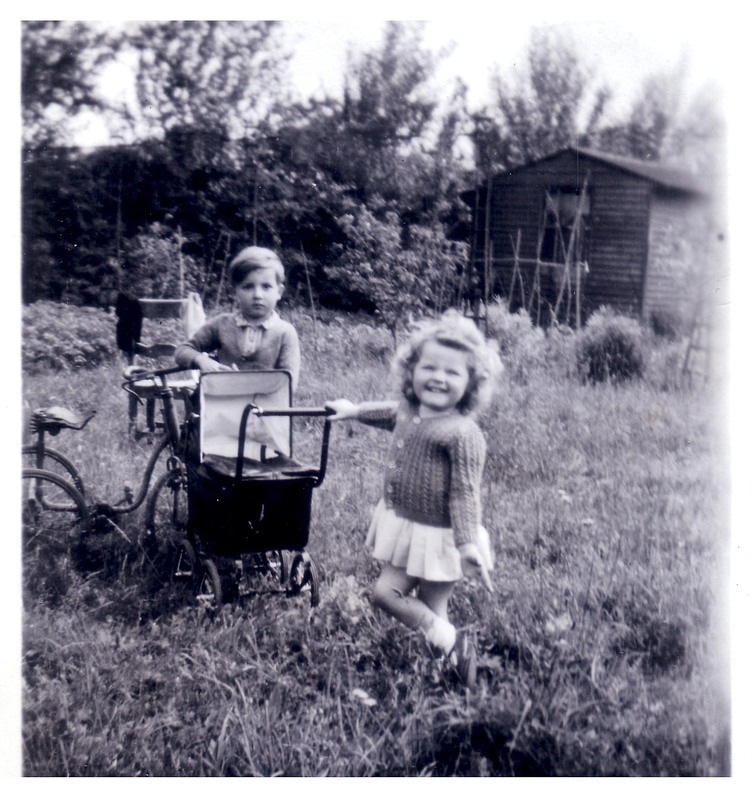 Jill lived in Victoria Avenue, Langdon Hills throughout her childhood and attended Langdon Hills School and Laindon High Road School. 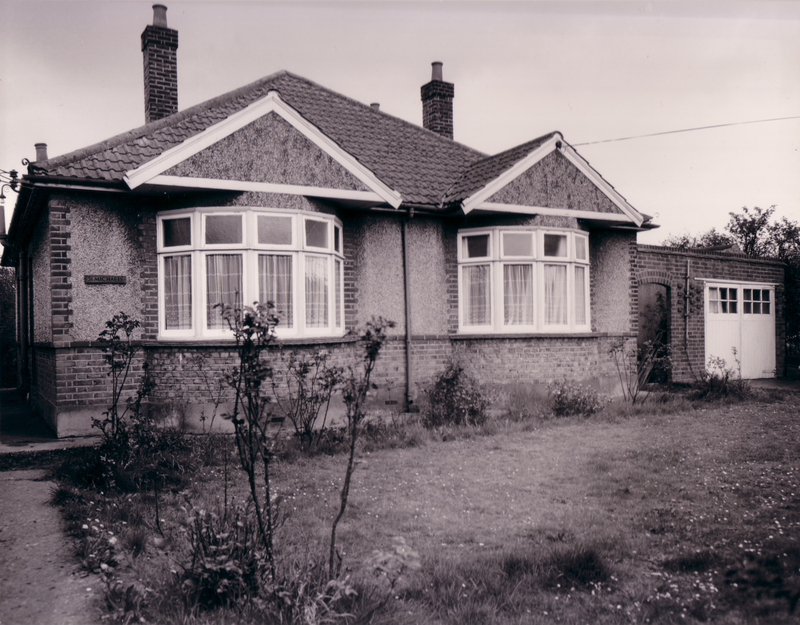 To avoid the Blitz, Jill’s grandparents, Alfred and Lillian Bailey, moved from West Ham to a bungalow called “St Michaels” in Victoria Avenue, Langdon Hills. Their children, daughters Lillian (known as Bubs, short for bubbles due to her very curly hair) and Edith, known as Edie and son Ronald, known as Ron, all settled in Victoria Avenue, an unmade road. 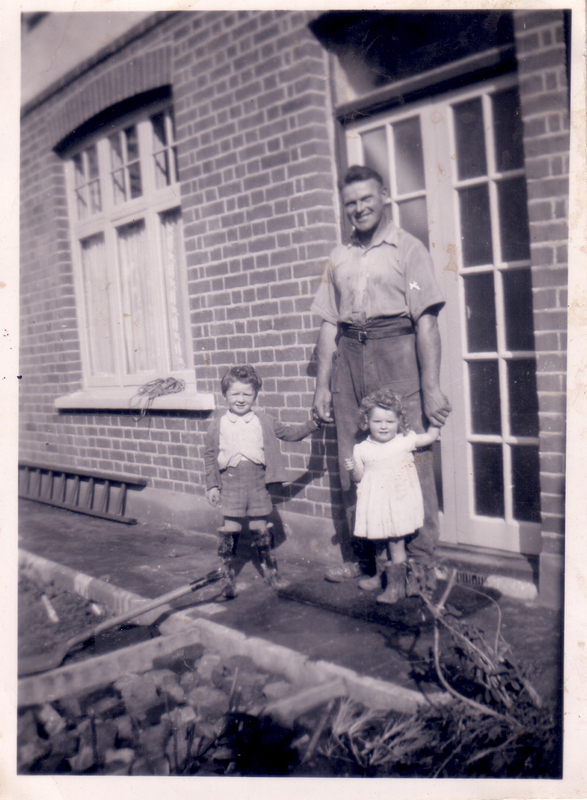 Lillian (Bubs) Bailey married Bernard who coincidently also had the surname Bailey and they lived in ‘St David’s’. Their three children are, Peter, David and Jennifer. 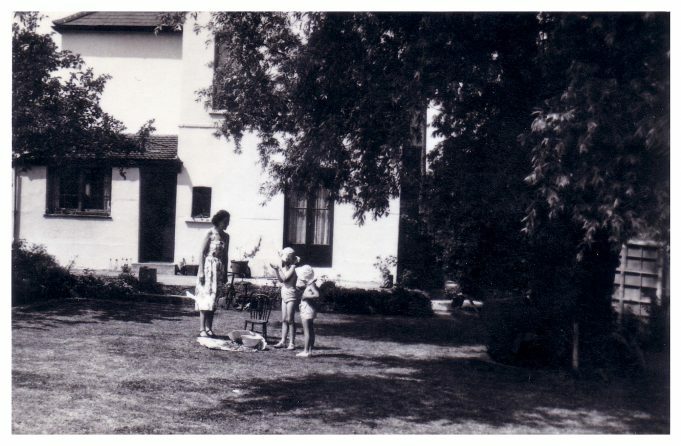 Edith married Jack Adams and lived in a large house called “St Elmo”. 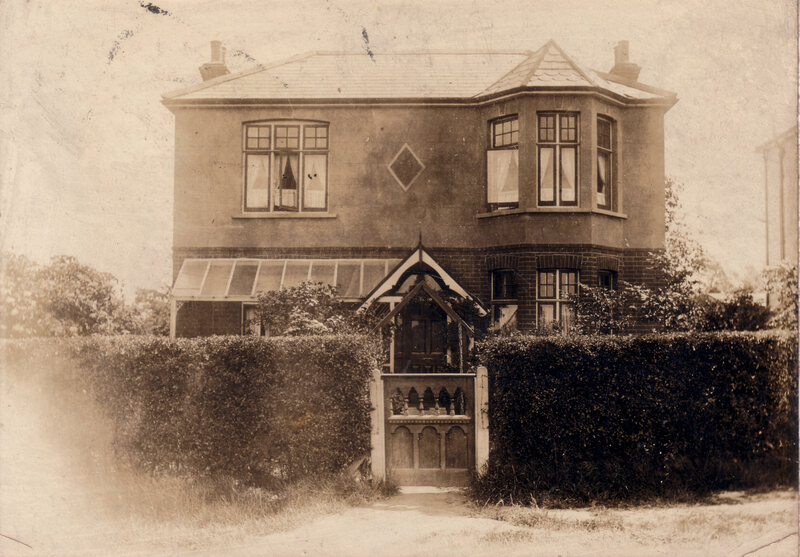 Initially they rented the house from the Clarke family of ‘Holmcroft’ next door, but later bought it from them. Edith and Jack had two children, Michael born 1943 and Gillian born 1945 (known as Jill). Ron Bailey married Eileen Manning and lived in ‘Blythwood’ and had two children, Alan born 1945 and Janice born 1947. 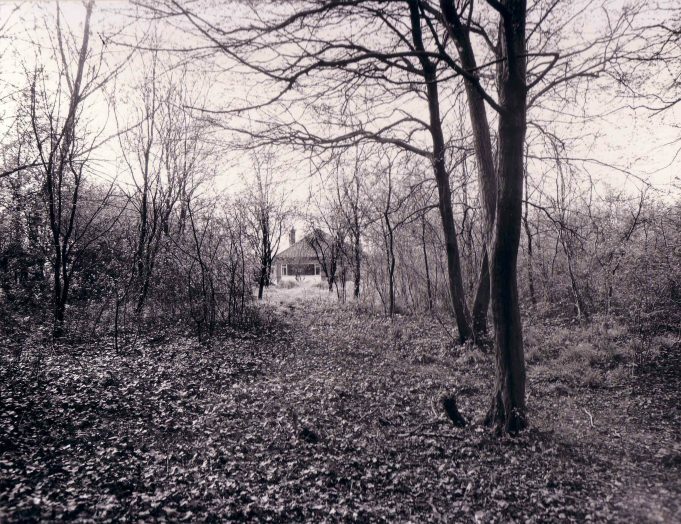 Victoria Avenue ran from just south of the railway, almost parallel with the High Road until it reached Lee Chapel Lane. 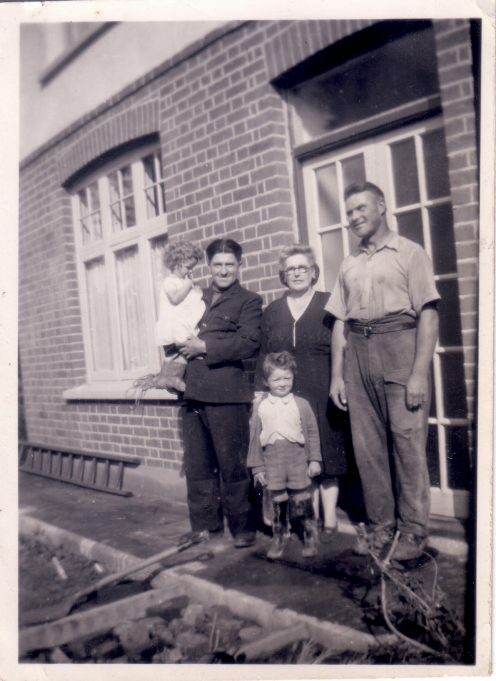 Jill recalls neighbours in Victoria Avenue as follows: Alf and Margaret Clarke of ‘Holmcroft’ with their son John and twins Stephen and Tommy. The St. John family, the Thomas family, the Jasper family, the Hunt family, the Telford family, Mr Eric Rand, Mr and Mrs Balcolme, and lastly a builder called Mr Carter. During Jill’s childhood, she remembers a man called Wilhelm, a German prisoner of war from the prison camp, who came to do gardening and other odd jobs at the family home. He became a friend of the family and after he returned home to Germany, Jill’s mum kept in contact with him until at least 1952. She spoke no German and he spoke no English, so their letters needed to be translated. Jill also remembers a Polish man called Jacob who also did gardening and odd jobs. Both appear in the photos that Jill has supplied. Jill remembers being able to roam the area freely with her friends, the only rule being that she should return home at lunch time and again at dinner time. 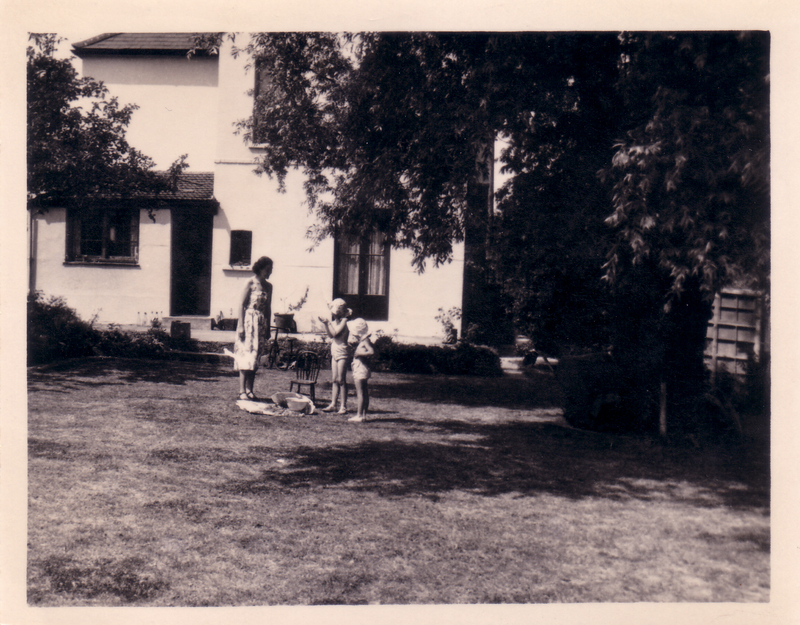 She and her friends often wandered down to the railway line to play. Jill recalls a disaster that happened in Victoria Avenue during the fifties, although unsure of the exact date. A deep ditch was being dug in order to lay drains, when the clay sides caved in, killing a number of men who had been working there. Jill remembers her parents going to socials that were regularly held at Churchill Johnson’s. 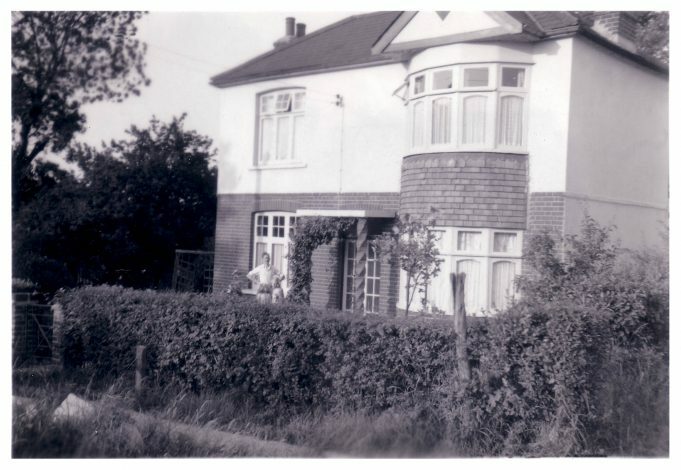 Jill’s family home was compulsory purchased in 1959 and she and her parents moved to Berry Lane. Jill left school and went to work at HMSO in Basildon. When she was 16, she met Barry Barnes when on holiday in Osmington Bay, Weymouth. They married in 1966 and have a son called John. The Northern end of Victoria Avenue is now a nature reserve. Staneway was built further to the south, cutting across Victoria Avenue from east to west and what remains of Victoria Avenue is now to the south of Staneway. I would be happy to pass any messages or comments on to Jill. St Elmo, Victoria Avenue, Langdon Hills, date unknown but thought to be approx. 1920. St Elmo, Victoria Avenue, Langdon Hills. 1950s. The back of St. Elmo, Victoria Avenue, Langdon Hills. Jill and her brother Michael holding hands with Wilhelm who was constructing a path infront of St. Elmo. 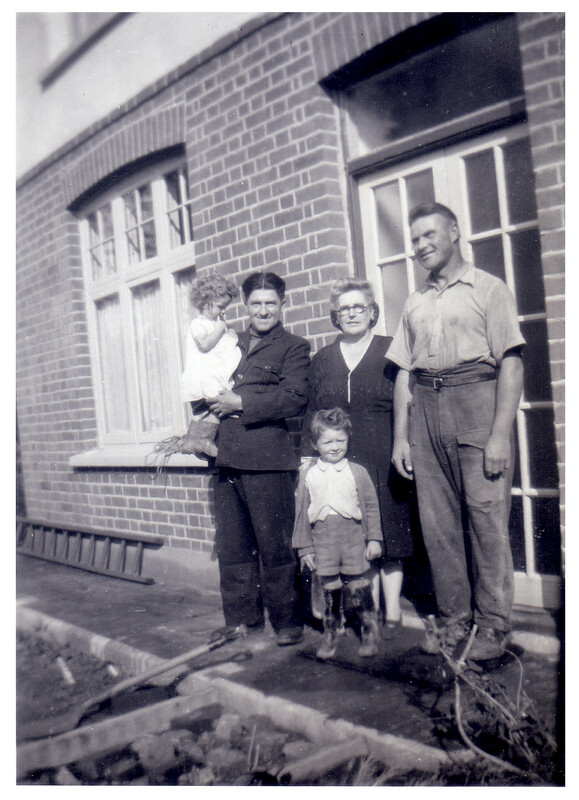 Jill with Jacob, the Polish workman, her brother Michael and grandmother, Lilly Bailey. On the right, Wilhelm, the German Prisoner of War. 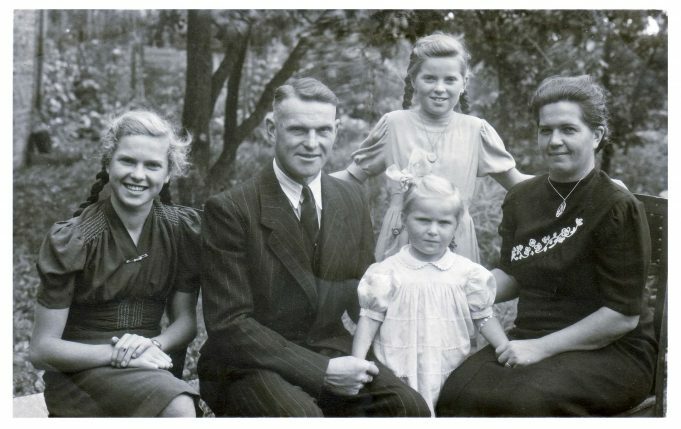 Wilhelm (surname unknown) the German Prisoner of War with his wife and three daughters. St Michael's, Victoria Avenue, Langdon Hills. The home of Jill's grandparents, Mr & Mrs Bailey. Back view of St Michael's, showing the huge garden. 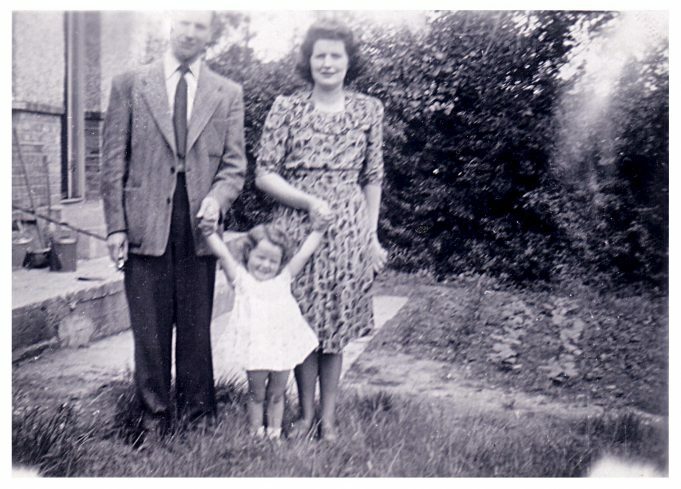 Jill with her parents, Jack and Edith Adams. In the back garden of St Michael's. Jill with her cousin David, in their grandparents back garden 'St Michael's. Langdon Hills School pageant 1952. From left to right. Jill Adams, ??, ? ?, Joyce Smith, ??, ? ?, Jessie Hernandez, Richard Woollen. Peter Jackson. 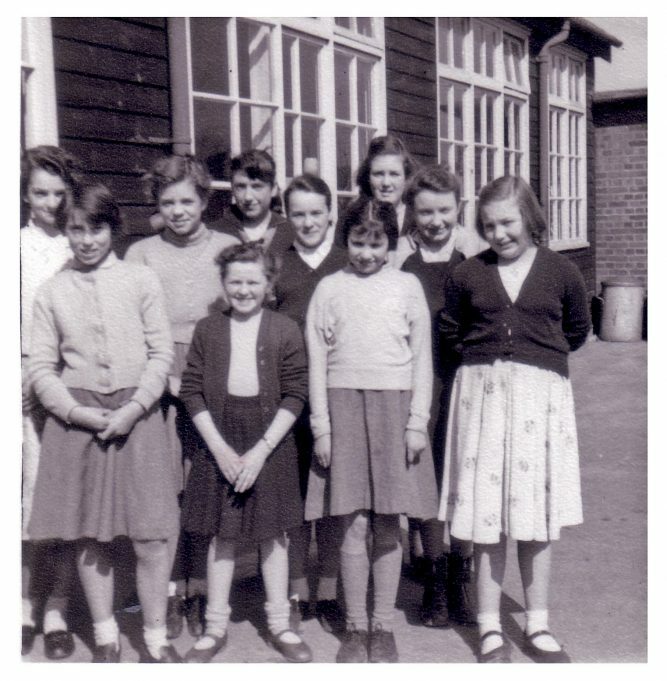 Laindon High Road School mid fifties. Front row from left. Stephanie Bannister, Jill Adams, Zelda Koppit, Shirley Smart. Back row from left. Yvonne Heather, Joyce Smith, ? ?, Jean Barnes, Catherine Hicks, Sonia Sutton. 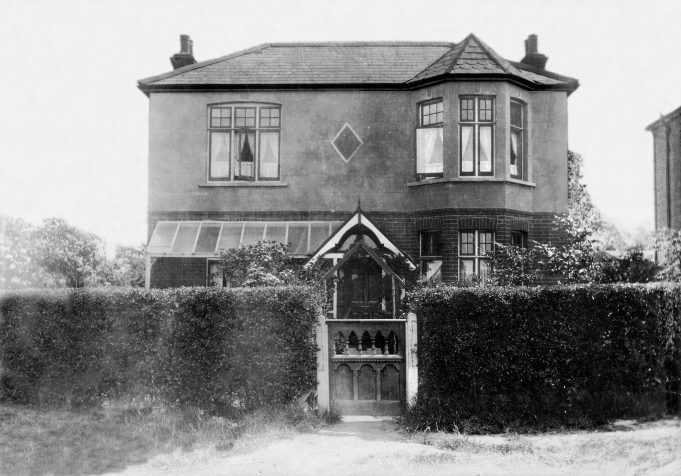 I guess the Bailey family that lived next door to me as a boy at 6 Airey Houses, Pound Lane, Laindon (they lived at No 4) is not the family mentioned in this article. However I won’t let it stop me from waffling. Mum Carrie, Dad Bill, eldest son John, George, Carol, Doreen and Dawn the youngest. All but Dawn attended LHR school, she went to Nicholas. While at LHR myself I remember a school dance one evening, the only one ever maybe. The IT GIRLS of the time were Lesley Cousins and Cherry Walden who usually shunned the bad boy (me), for whatever reason Lesley decided to teach me to jive. Now she was either a poor teacher or her pupil was rubbish, the choice of music didn’t help, I remember it well, Gary U.S. Bonds – Quarter to Three, a bit too fast! But what really sticks in my mind, to get back to the original story, is that Lesley and Cherry brought a friend with them to this dance, a girl not from our school. Her name was Jennifer Bailey, she came from Langdon Hills, and I swear she was the most beautiful creature I had ever seen. This was the only time I ever saw her yet she still remains in my memory. Perhaps she is one of the Baileys in this article? My sister Georgina then Hahn, married David Bailey in January 1966, they now live in Brisbane Australia. Bubs was his mum, now passed. Dave and Georgina have 2 children Kerry and Paul. Kerry also lives in Australia with 2 children. Paul still lives in UK with 2 boys. 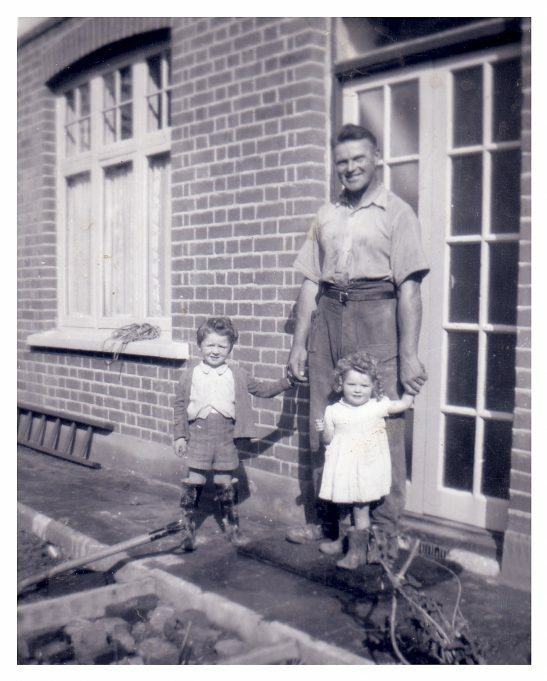 Hi the surname of the German prisoner of war was Flenky [not sure if spelling is correct] his family lived on the corner of Nightingale Ave and Park Ave, one of his daughters name was Barbara. Re, the Bailey family, Mrs Bailey [Bubs] three children Peter, David and Jenny, still live in the area. 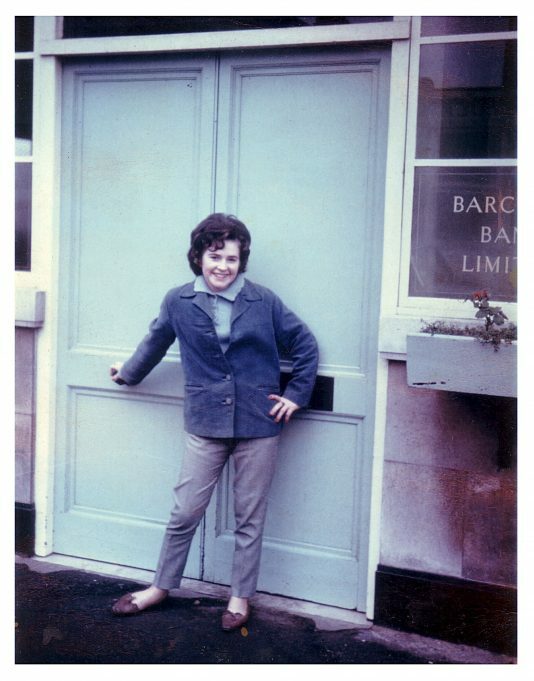 I went to school with Peter he lives of Lee Chapel Lane, Langdon Hills. Hi Jill. How are you? Please be sure to mention me to Michael when you speak with him. I’m fine, thank you, retired since 2001 (took very early retirement) and living in Colchester. Divorced since 1986 I have a son and daughter, neither married, hence no grandchildren (as far as I’m aware!) I enjoy travelling, both in UK and abroad. So glad that I checked out this site or wouldn’t have found you. Take care. Hello Colin. Nice to hear from you. Michael is well and living in the Lake District near Kendal. He is married with two sons, two daughters and five grandchildren. I will mention you to him next time we speak. How are you these days and do you still live locally? Best wishes. Jill. Jill Barnes, nee Adams? Must surely be the sister of Michael, a good friend of mine throughout school years. It must be the same Michael because I recognise you as a sixteen-year-old and I also recognise your mother in the photograph. Where’s Michael now, Jill? In the Laindon High Road School photo. I believe the missing surname for the girl in the front row is Smart and the one for the girl standing next to me is Hicks. 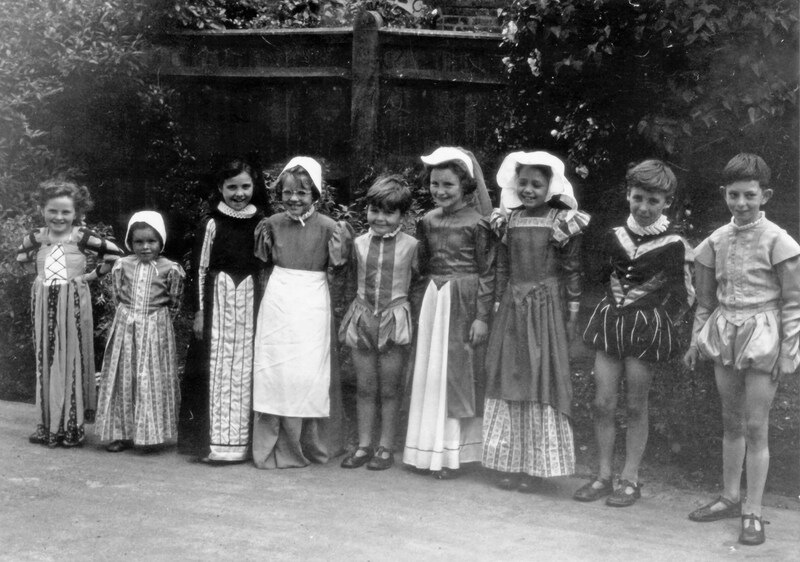 Love the school photo in Elizabethan dress. I was best friends with Jessie Hernandez at LHR and we were in the same class at Langdon Hills. The boy next to Jessie is Richard Woollen and the boy next to him on the end far right is Peter Jackson, both in my class, I had very good friends at Langdon Hills.